Tired of dealing with tyre marks and oil spills on your driveway? 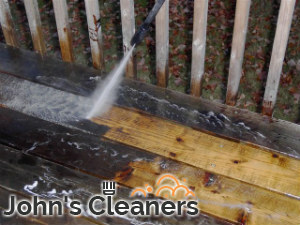 If that is the case, you have come to the right place as we are dedicated to providing customers in the Clapham SW4 area with cost-effective, high-quality jet washing services at the best rates possible. Book us so we can clean in detail your block or flagstone paving, driveways, walls, brick fence, patio, deck or roof. We aim to never disappoint new or existing customers, which is why we have invested in high-end pressure washers and employ only vetted, insured, experienced and reliable technicians. Contact us now to discuss your individual requirements! Without proper maintenance, exterior surfaces tend to grow dull, stained and are often covered by lichens, moss, fungi and algae. The solution to this problem is simple – all you have to do is give us a ring and make an arrangement for our jet washing services in Clapham. 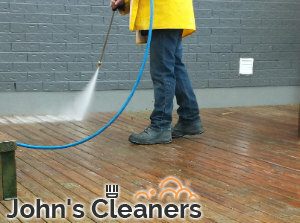 The jet washing services we provide in SW4 will greatly appeal to you, because we like to keep it honest with our customers. Unlike some cleaning contractors out there, we never hassle over pricing as we provide free estimates in advance. All you have to do is give us a call so we can send our team to evaluate your property on site. Filling in our form with your details and the size of the area that is to be cleaned is another convenient option. Our team will arrive on time and get to work immediately. The whirl-away jet washers they use are effective in removing a vast array of grime from tyre marks, moss and oil stains on your driveway to slippery algae on your decking. There is no need to worry over the graffiti the local street artists have embellished your wall with – we can handle this too! If professionalism, results and value for your money are what you demand, our jet washing services in London SW4 are exactly what you need. We never disappoint!